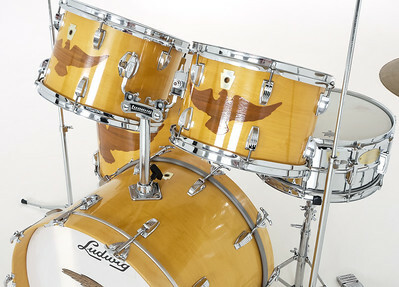 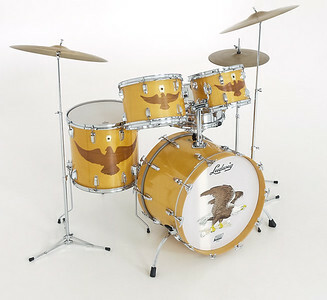 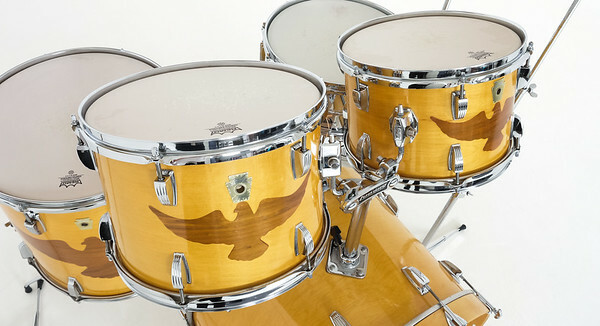 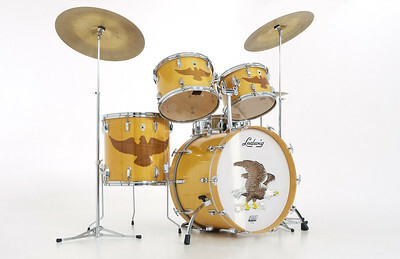 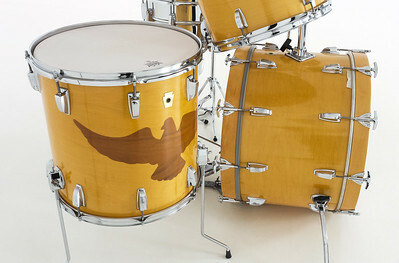 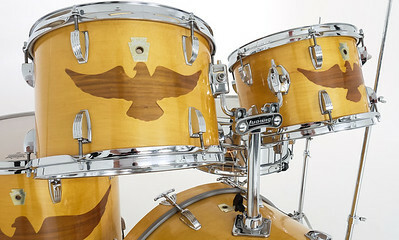 Finish: Clear lacquered maple with inlaid eagles. 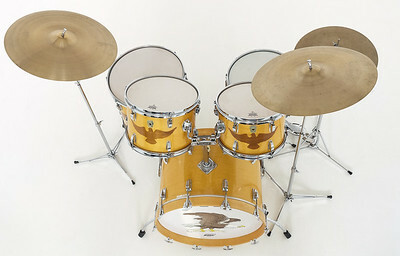 This is a one of the rare 75th. 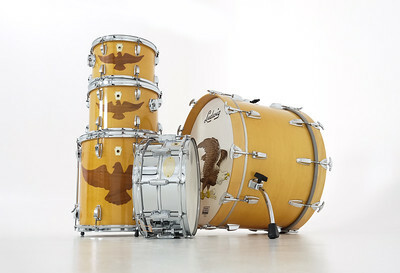 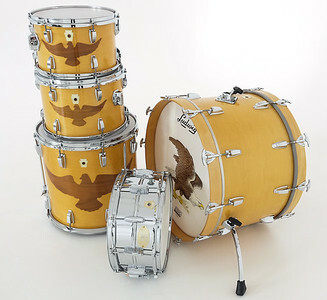 Anniversary drum kits. 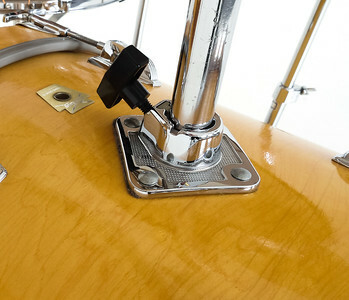 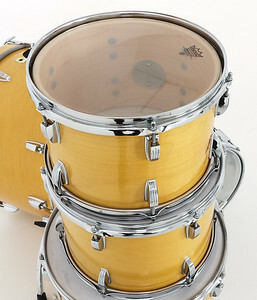 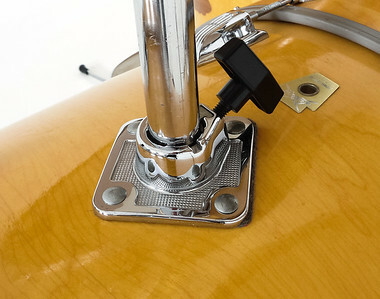 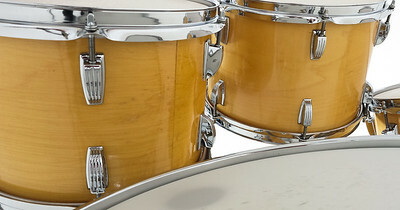 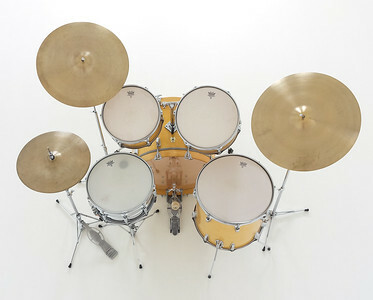 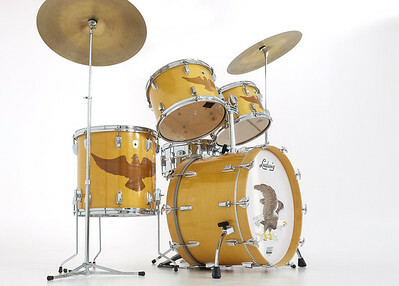 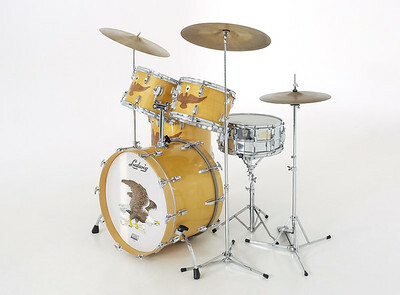 Often you see the kit with power toms and extra lugs. 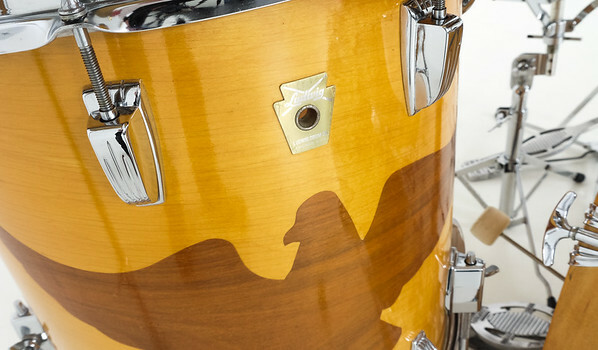 This is a one of the rare 75th. 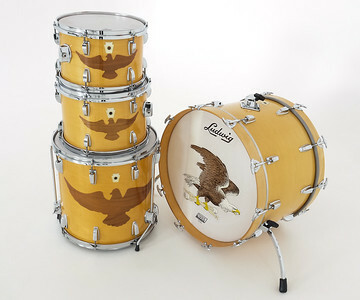 Anniversary kits. 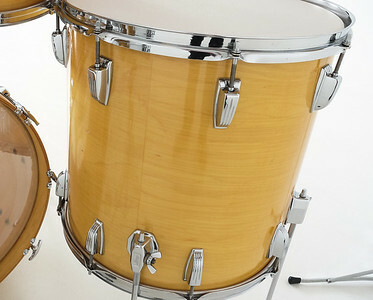 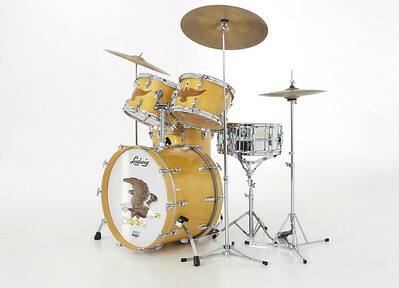 Often you see the kit with power toms and extra lugs. 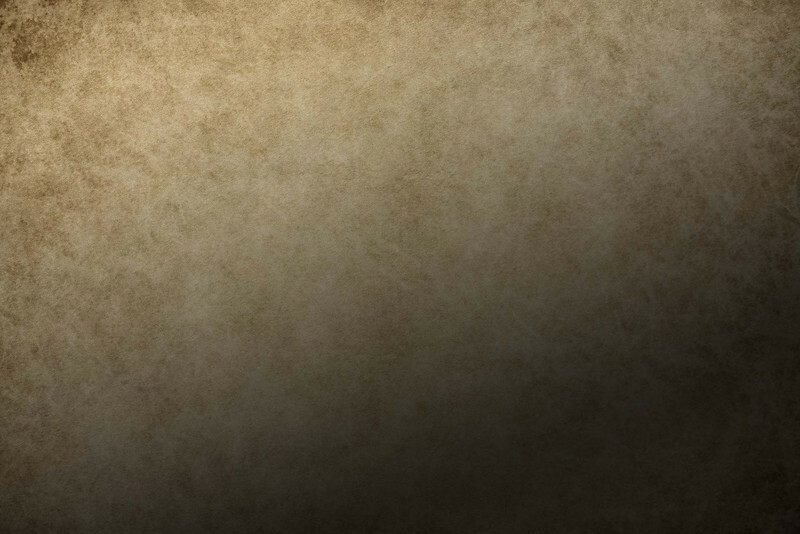 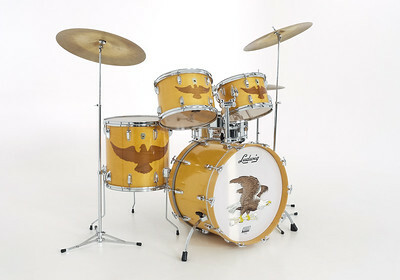 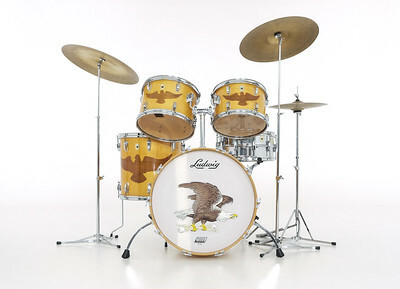 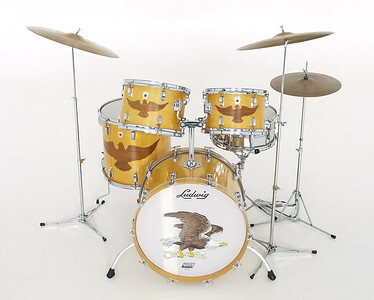 It is a very powerful kit that loves to play country music! 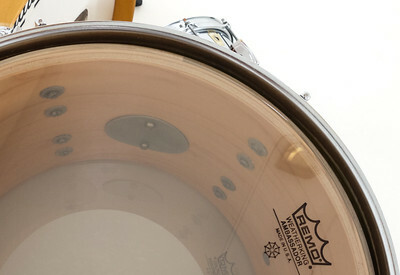 You can see and read about the snare here.